But once that was accomplished, he added, â€œtheyâ€™re goneâ€. Some of the elephants are reportedly as young as three years of age. The live export of elephants is controversial, although legal. 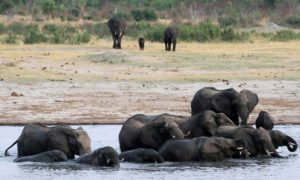 Wildlife advocates argue that elephants are do not belong in captivity and the practice of wild capture disrupts the social structure of their herds. 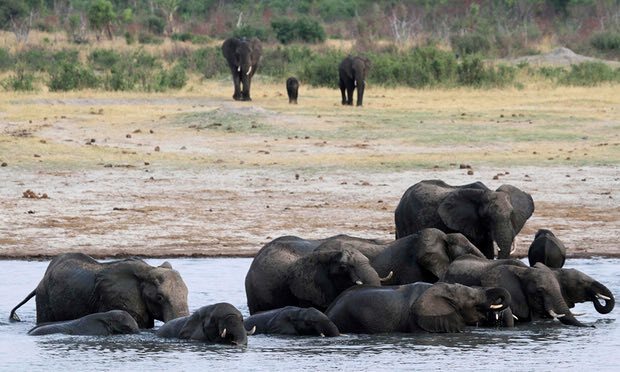 Zimbabwe Parks and Wildlife management authority (ZimParks) announced in August that it would be capturing elephants from Hwange National Park in a conservation scheme that it said would repopulate another park in the country. But wildlife groups said at that time that they suspected the country was planning to export the elephants to China. Pincott said she did not know if some of the elephants being sent abroad could be the ones she studied for more than a decade. She also noted that the fragility of the young elephants could not be overstated as they were being deprived of their mothersâ€™ milk. The elephants will most likely be sent to the Shanghai Wild Animal Park and the Yunnan Wild Animal Park, according to Chunmei Hu, currently with the advocacy group the Endangered Species Fund in China. Hu has closely followed a previous export of wild Zimbabwe elephants to China in 2015. As of August, she said, the elephants were still in quarantine and she believes at least one of them is dead. Other zoos in China have requested African elephants, including the North Forest Zoo in Harbin, Ordos Zoo in inner Mongolia, and Beijing Wildlife Park, she added. Efforts to reach ZimParks for comment were not responded to. Neither was an email to the Convention on International Trade in Endangered Species authority in Beijing. Another fine example of Chinese plundering African resources. Or is this payment for Bob’s “free” Christmas jaunt?